As communications director, Elizabeth creates communications strategies customized in tone and function to build understanding and inspire engagement. She believes adaptability and listening to audiences are at the heart of leading change and advancing cooperation through information exchange. 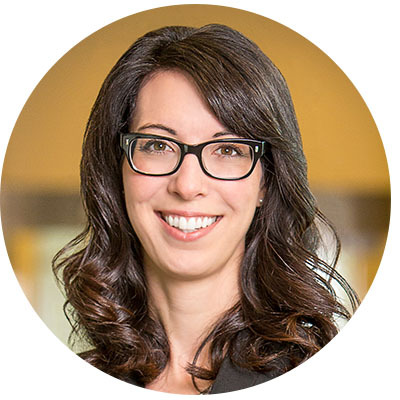 For 15 years, Elizabeth has worked in the corporate and nonprofit sectors, helping organizations develop and carry out communications plans that use an integrated mix of channels, including events, presentations, digital, print, video and media. Since studying English in college, Elizabeth has been excited by the power of storytelling to bridge divides and expand horizons. She has directed this passion toward supporting organizations that are working to address the world’s most pressing environmental and social justice issues. Elizabeth is a member of Phi Beta Kappa honors organization and completed the Boston College Center for Corporate Citizenship’s GRI Certified Training Course. Elizabeth lives in Minneapolis with her husband and their dogs. They enjoy connecting with friends over a good meal, exploring national parks and carrying on their never-ending cribbage competition. Elizabeth also enjoys volunteering as an ESL teacher and studying holistic health.